Peter Monroy, lead singer for MONROY, is a Las Vegas based musician and songwriter. MONROY has been a staple on the Vegas music scene since 2001 and has performed consistently at top casinos and venues. MONROY is also in high demand for private parties and corporate events. Led by Peter’s raw vocal talent, MONROY takes its audience throughout a musical journey at each performance. 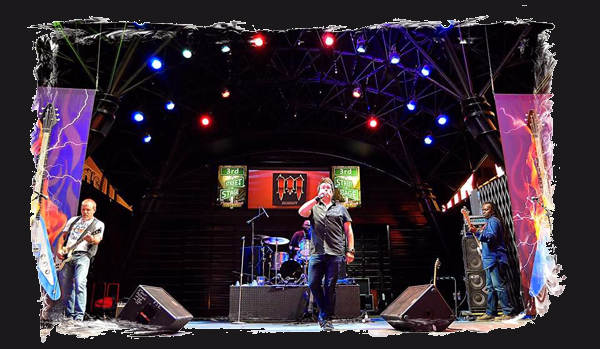 From Bon Jovi to Journey and current hits, MONROY has developed a strong and loyal fan base called MONROCKERS, both from travelers to Vegas and hometown regulars. Monroy showed his musical talent at a young age. Demonstrating skills in various instruments and a strong vocal ability, MONROY is in constant demand. His new EP, launching in 2014 is setting him and the band on an exciting career path. Wanna Book Hollywood & Vine? You can book Hollywood & Vine for your next event just by clicking the "Book Them Now" button to the right and filling out the form. We will be in contact with you about their availability as soon as possible.